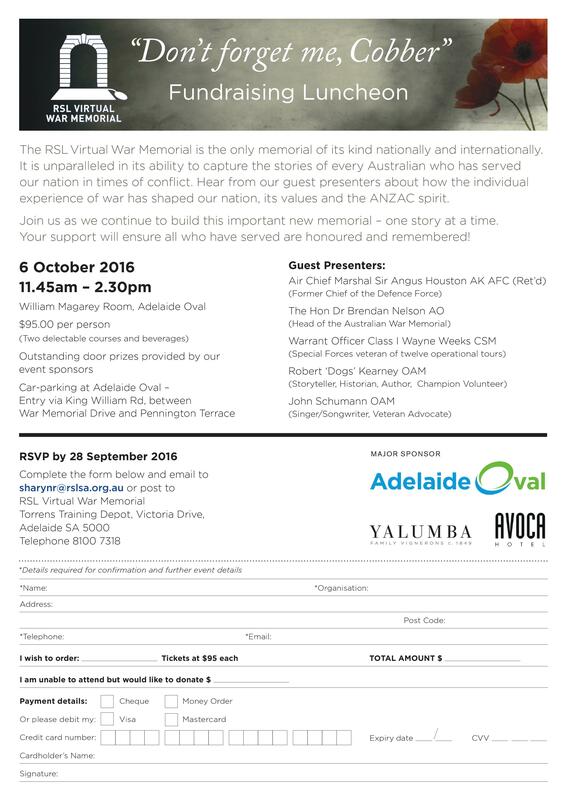 The RSL Virtual War Memorial is hosting a Fundraising Luncheon in Adelaide on Thursday 6 October. Five significant guest presenters will focus on the way in which the individual experience of conflict has shaped Australia in what promises to be a memorable event. Join us for a delicious luncheon to support the RSL Virtual War Memorial.